Manage any Utility cutting chore with the Imperial Folding Utility Knife. This impressive Imperial design turns your average utility blade into a fully functional liner lock folding knife, complete with thumb stud openers and a deep carry pocket clip. The aluminum handle has a grippy rubberized texture and includes a strap cutter and a tip-down pocket clip. 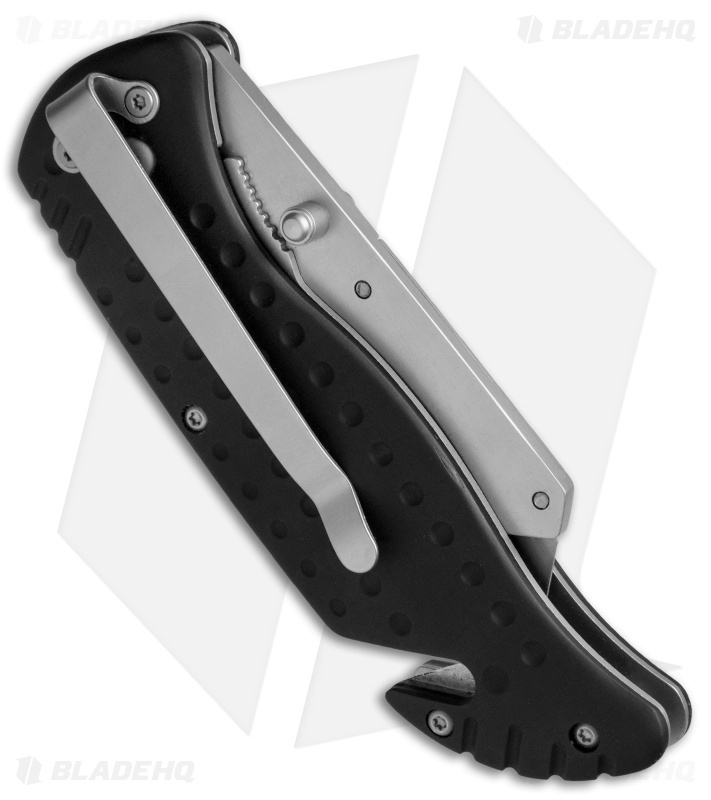 Replaceable blade design can be swapped out with any standard utility razor blade. 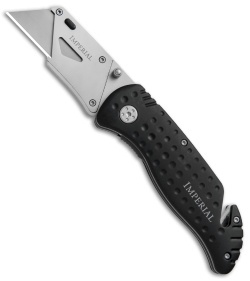 Tackle any utility cutting task with the Imperial Folding Utility Knife. 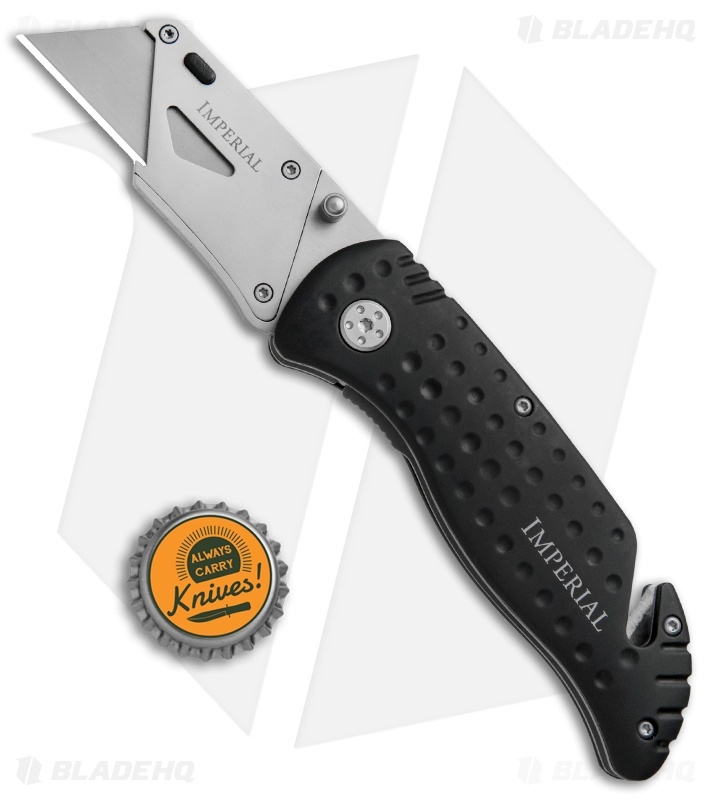 Good utility knife for everyday tasks, well designed. 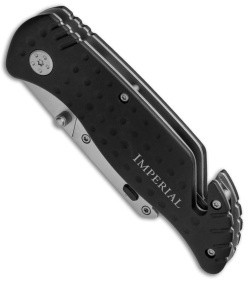 The handle is comfortable, and opens and closes easily. When closed the replaceable blade is in a position to be a seat belt cutter.